Patented waterproofing system and upgraded components added to best-seller to create the KastKing® Sharky II Spinning Reel. Garden City, Long Island, NY (January 11, 2016) — Today, KastKing®, a division of Eposeidon, Inc., introduces a unique KastKing® Sharky II spinning fishing reel model for 2016. KastKing® Sharky II, the successor of the KastKing® Sharky, underwent 3 years of development and holds 20 design patents. It is built to withstand harsh conditions and submersion for up to three minutes. KastKing® Sharky II features 10 superior quality shielded stainless steel ball bearings and an instant stop anti-reverse bearing. As an upgrade to KastKing®’s best-selling Sharky spinning reel model, the KastKing® Sharky II received a new-design spool with waterproof carbon fiber drags that is stronger, 10% lighter, and casts 10% farther than its predecessor. KastKing Sharky II has a best-in-class carbon fiber drag system rated up to an exceptional 41.5 lbs. / 19 kg. of maximum drag, and the strength of its brass gears were increased by 30%. KastKing® Sharky II’s handle cogs were re-engineered for a more exact fit. Reinforcement was added to the reel body for less torsional flex, yet it remains light weight for its size and features. The Sharky II 4000, which generates 28.5 lbs/ 13 kg of drag, weighs in at 11.1 ounces/ 317 grams while the Sharky II 6000 has 41.5 lbs. / 19 kg. of drag. “The factory successfully tested the Sharky II for immersion up to 5 minutes, but we wish to remain conservative in our claims,” added Gahan. KastKing® Sharky II is saltwater approved and has a one-year warranty. It has an interchangeable right-handed or left-handed interchangeable handle and is available in 2000, 3000, 4000, 5000, and 6000 series sizes. The 6000 is fitted with a T-grip handle. 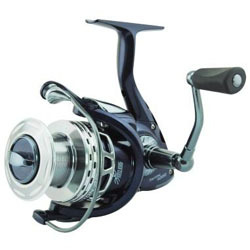 KastKing® Sharky II Spinning Reel MSRPs are: 2000 – $65.98, 3000 – $69.98, 4000 – $71.98, 5000 – $78.98, and 6000 – $94.98. All models have been deeply discounted for the product launch and will continue to sell at discounted prices through http://www.amazon.com/kastking and other select online retailers. 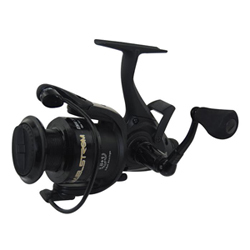 Eposeidon’s KastKing® fishing reel manufacturing division will make several models available equipped with high performance ceramic Boca Bearings and kits to upgrade other KastKing® reels. 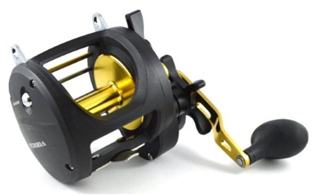 Garden City, Long Island, NY — KastKing® a division of Eposeidon, Inc. headquartered in Garden City, New York will manufacture three spinning reel models equipped with Boca Bearings. They will be select models within KastKing® ‘s bestselling fishing reels, the KastKing® Blade and the KastKing® Triton, and also an innovative new reel scheduled to be released later this year. The models fitted with Boca ceramic hybrid bearings as original equipment will carry the same name, but will have a separate “Magnum” designation. KastKing® and Boca Bearings, based in Boynton Beach, Florida will also offer bearing kits for those who want to upgrade their KastKing® baitcasting or spinning reels to state-of-the-art high performance ceramic hybrid bearings, or premium steel bearings produced by Boca. 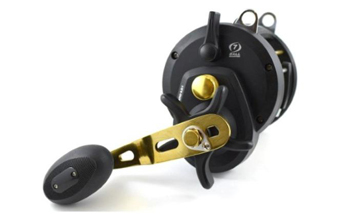 Replacement Boca Bearing kits will initially be available for KastKing® Blade 3000, Triton 2500 spinning reels, KastKing® LMA 200 and Royale RS1000 low profile baitcasting reels and all sizes of the KastKing® RXA conventional reel. Boca Bearing Kits for KastKing® reels will range from Econo Power Fishing Reel Bearing Kits, which are the most affordable way to replace and upgrade stock bearings, to Lightning Ceramic Hybrid ABEC#5 kits, an upgrade from stainless steel bearings, to the top of the line Orange Seal ABEC#7 ceramic hybrid bearings, which have a non-contact rubber seal allowing the bearing to spin freely without any excess drag. 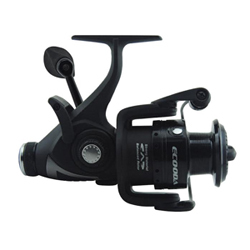 Hempstead, NY, USA (June 9, 2014) — Eposeidon Outdoor Adventure, Inc., (DBA Eposeidon, Inc. http://www.eposeidon.com) has added another spinning reel to their feature loaded, yet affordable, fishing tackle lineup, the KastKing™ Triton. The new KastKing™ Triton is available in sizes, 2000, 2500, 3000 and 4000 and features 10 shielded stainless steel ball bearings, plus 1 instant-stop anti reverse roller bearing, and a revolutionary triple disc carbon fiber drag washer system. The KastKing Triton 2000 and 2500 provide 17.6 pounds of drag force while the 3000 and 4000 series develop 22 pounds of drag. The models weigh in at only 9, 9.5, 12.4, and 13.2 ounces respectively. 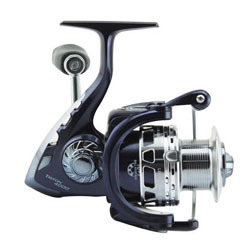 Triton’s corrosion-proof components such as its stainless steel main shaft, CNC machined aluminum handle, incredibly light but super strong graphite body with rich gunmetal blue and black cosmetics, and computer balanced high strength graphite rotor make the Triton a perfect reel for saltwater or freshwater use.